Mitsubishi Cement Corporation utilizes waste tires as a supplementary fuel to provide heat in our cement kiln. Whole tires are injected one at a time into the 2700 F kiln. The rubber quickly burns off, completely and cleanly, providing heat to the process, and decreasing the usage of our primary fuel – low-sulfur coal. This tire usage also decreases the emission of nitrogen oxides (NOx). 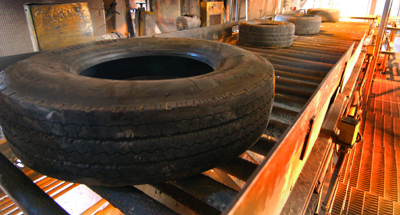 The tires’ steel belts are absorbed into the process as well, reducing the need for iron from raw materials. 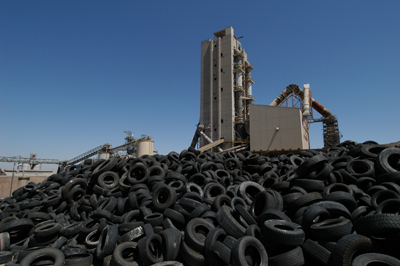 California generates a waste tire for every man, woman and child each year. That computes to over 36 million tires that must be disposed of each year. 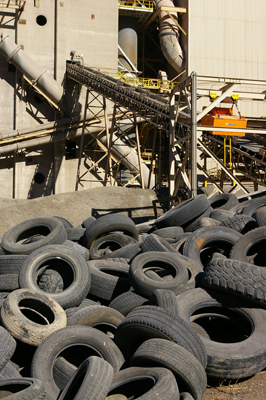 Approximately 2 million tires are utilized annually in the MCC kiln, this keeps them out of landfills and stockpiles. Mitsubishi Cement Corporation contracts with CB Tyres to provide transportation of the tires. C B Tyres charges a transport and tipping fee. Please contact C B Tyres directly at 909-370-3700 to arrange for tire pickups. California State regulations require certification for waste haulers and manifests for each delivery, so individual drop-offs can not be accepted. Mitsubishi Cement does accept tires from local community clean up projects without a tipping fee. Clean up projects are usually coordinated by the local municipalities. 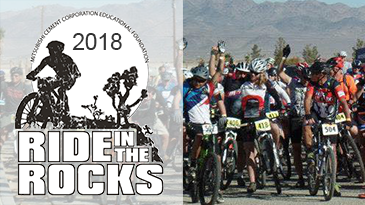 San Bernardino County has a program to reimburse transportation costs for cleanups. In some cases these tire disposals may have no net cost to the community. Please contact your municipal authorities about community cleanup activities.